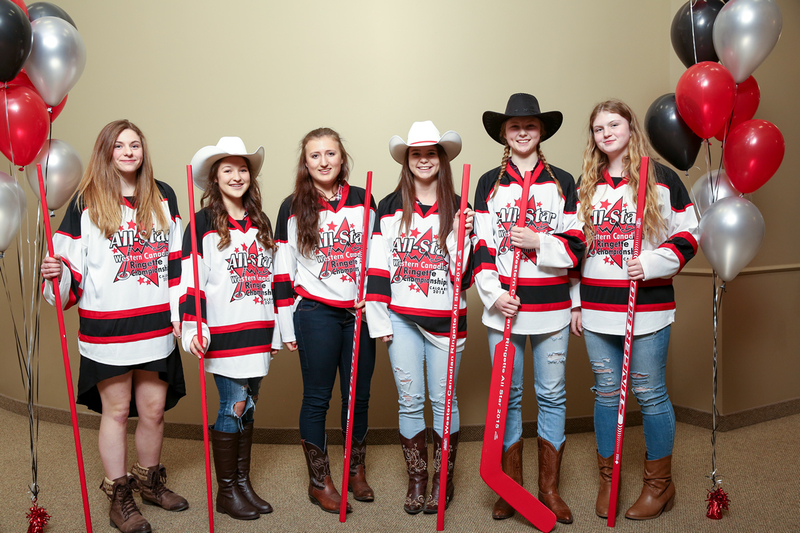 The WCRC’s are held annually and see the top teams from Alberta, British Columbia, Saskatchewan and Manitoba compete against each other at the U14AA, U16A, U19A and 18+A levels. The winners of the provincial championships in each province earn the right to attend, with a fifth team in each division representing the host association. Calgary was host to this event at one of the most unique athletic environments in the world – the Markin MacPhail Centre at WinSport’s Canada Olympic Park. 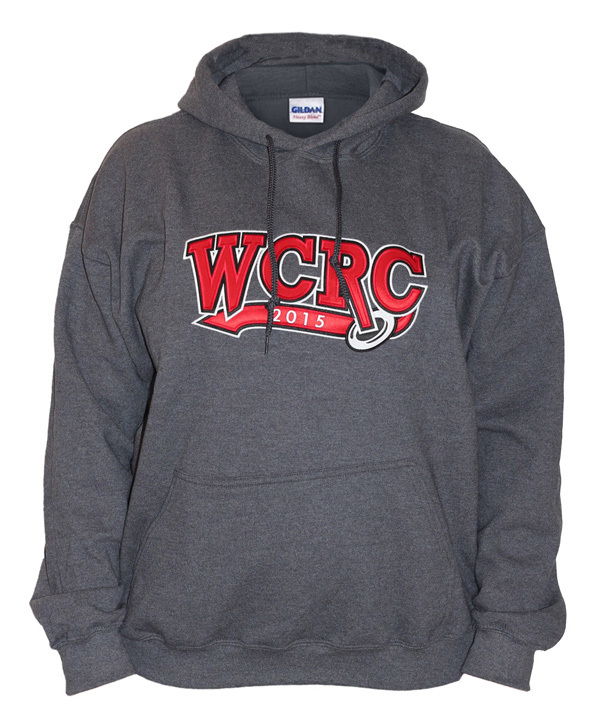 Congratulations to the winners of the 2015 WCRC Anthem Contest! The singing of our national anthem by Calgary Tween AA player Abby Willerth, a heartfelt presentation from Ringette Calgary`s Paul Geddes to Beth Veale who was recently inducted into the Ringette Canada Hall of Fame, and an inspirational speech from Jackie Richards seeking an answer to the question "What is Ringette" were all part of a spectacular opening ceremony at the Markin MacPhail Centre on Wednesday, March 25 2015. 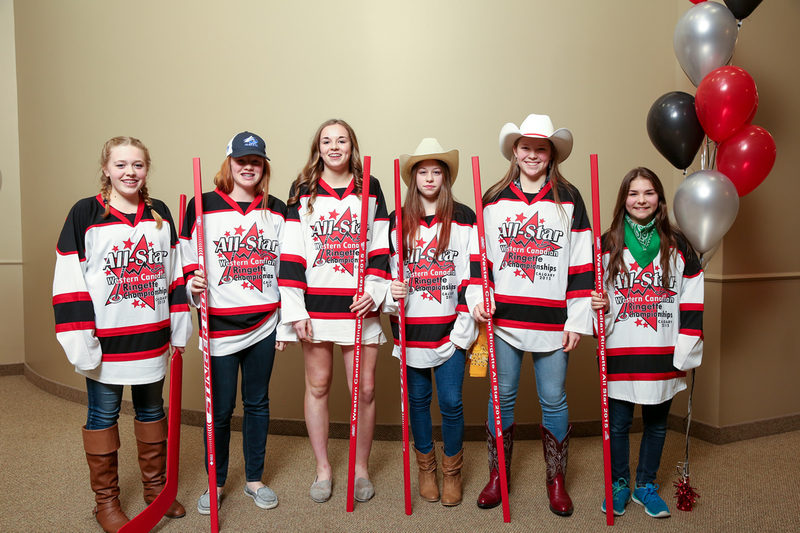 The Western Canadian Ringette Championships Skills Competition was an opportunity to showcase the exceptional skill of individuals in our sport. It featured a comprehensive skills competition for each age group with presentations for top athletes in several different categories. 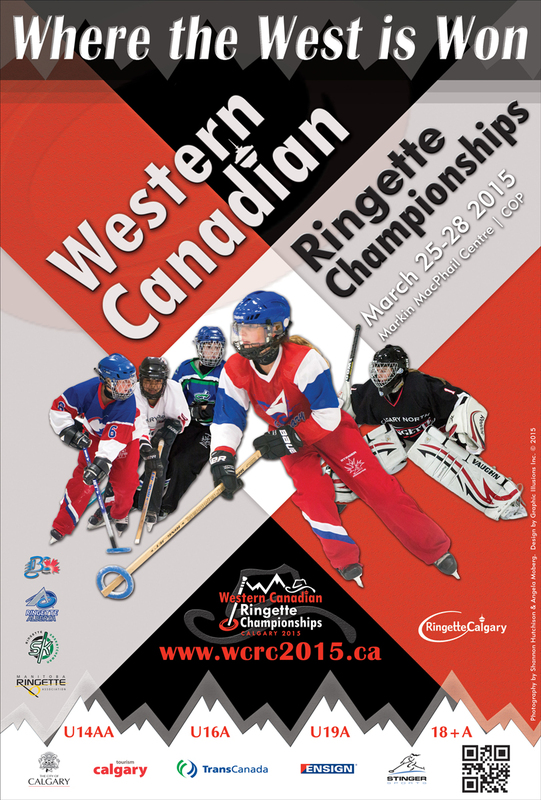 The skills competition was broken up over two days due to the large number of teams attending the 2015 WCRC. 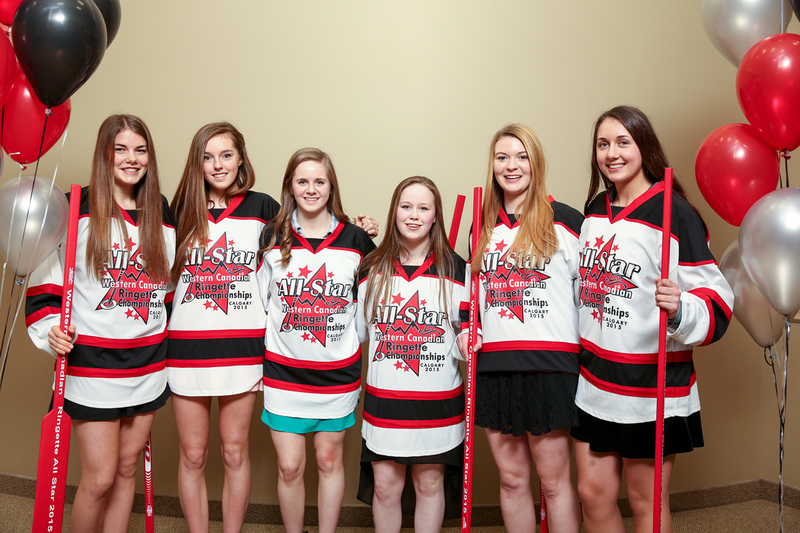 The U14AA division was on Wednesday, March 25th immediately following the opening ceremonies, and the 16A and U19A divisions on Thursday, March 26th. There were 3 components - Fastest Skater, Goalie/Shooting Competition and a Team Relay. 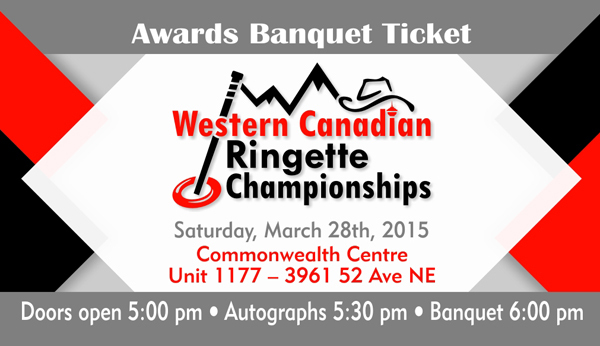 The Closing Ceremony and Banquet for the 2015 WCRC was held at the Commonwealth Hall and Conference Centre on Saturday, March 28th, 2015. 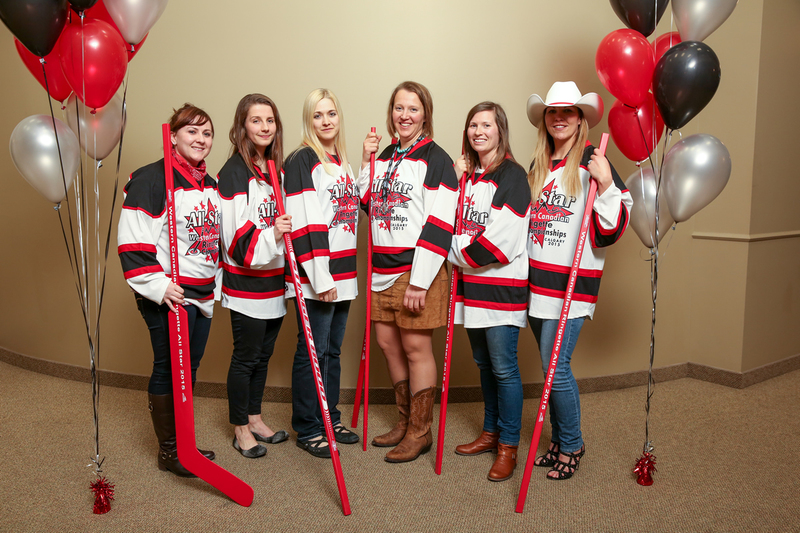 Two time Olympic Gold Women’s Hockey Medalist, Meaghan Mikkelson was the featured speaker for the evening. At the conclusion of the championships the host committee elected to create two annual Scholarships with profits from the event. 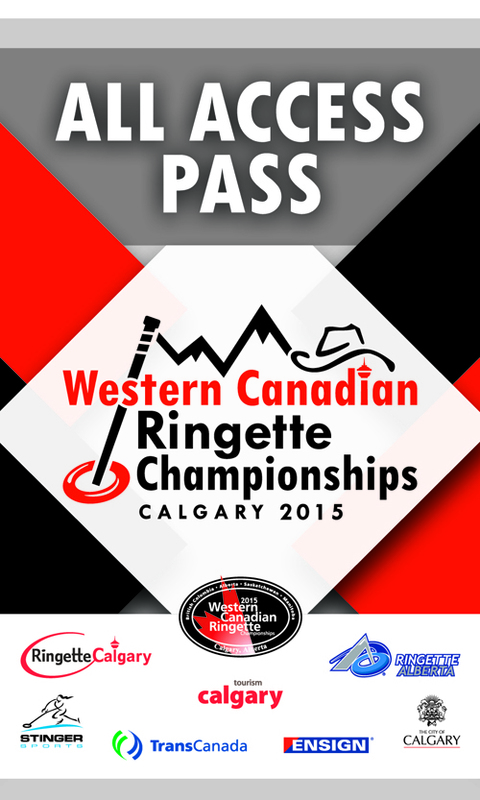 The “2015 Western Canadian Ringette Championships Legacy Scholarship” will be awarded annually to two Ringette players who are current or former residents of Calgary, are attending a Canadian post-secondary institute on a full-time basis, and who combine academic excellence with a strong commitment to the sport of Ringette.